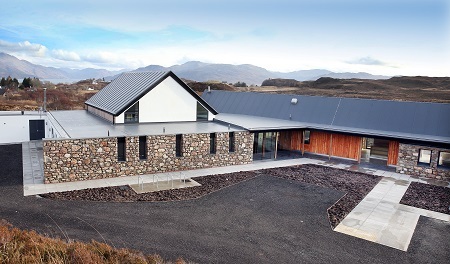 A brand new community hub building in Sleat on Skye is gearing up for opening its doors and is taking on staff. 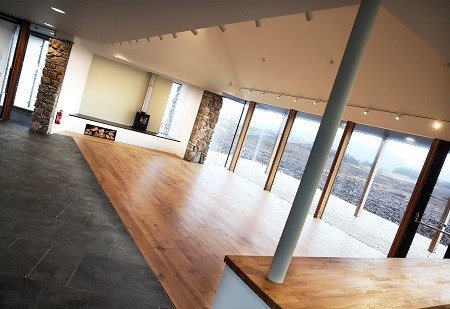 Situated just above the A851 where it passes through Duisdale and Camuscross, An Crùbh will offer a shop and post office, café, a community hall, a further meeting room, an exhibition space, toilets and showers – serving the local community and visitors. It is one of the first projects of its kind to open in Scotland – developed, owned and run by a local community as a social enterprise, with a business venture sustaining a community hall under the same roof. The project will provide year-round employment and showcase local produce. 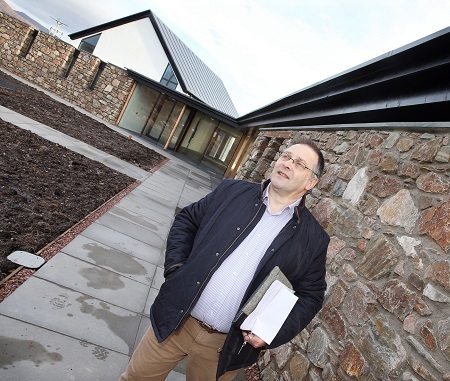 Construction, by Highland firm Compass, was completed on the 23rd December, and the building has been handed over to its owners, community group Camuscross and Duisdale Initiative. The first key post has been filled already. Sharon Campbell from Camuscross, who comes with valuable experience from Sleat Community Trust, takes up the post of Business Development Manager next month. Meanwhile, An Crùbh is currently advertising the posts of Cook/ Café Manager, Assistant Café Manager, Shop/Post Office Manager, and Assistant Shop Manager, with interviews to be held in early February, and with further positions to follow. Working groups have been meeting regularly since the New Year to hone plans for equipping and furnishing the building. The shop and café will open in time for Easter, and the first event in the hall will be a car boot and table-top sale fundraiser on 25th February 2017.